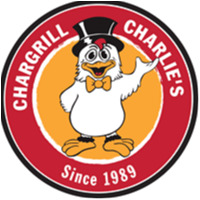 Chargrill Charlie's joined our Mission to help provide access to “Clean Water for All by 2030”. This Mission was initiated by the United Nations. A big thank you to Chargrill Charlie's’s team and customers for joining this extremely important mission on 12 April 2018. We are a family-run business whose philosophy has always been “if you take care of the customer, everything else will take care of itself.” Our clean cooking techniques have made our shop, the go-to dinner place for busy families since 1989. And our award-winning recipe's have kept peoples mouths watering for Charlie’s food for over 29 years and many to come. The first Chargrill Charlie’s opened its doors in 1989 on the golden shores of Coogee, and it has really just taken off since then! Although the Coogee shop is no longer, it gave way to ten other flourishing stores across Sydney’s east and north shores and recnelty the inner west.